On 3rd January 2019, MOHAN Foundation conducted an awareness programme on organ donation for the CNSI employees of the Chennai branch. The session which began around 4.10 PM was attended by 35 staff members of the branch. The talk was given by Dr. Hemal Kanvinde who was assisted by S.V.Ajitha and J.Keerthana (MMM College of Health Sciences), Interns at MOHAN Foundation. Dr. Hemal Kanvinde began by explaining about different organs and their functions and later spoke on the subject of the brain death and its causes, how organs can be donated, and the legalities involved. She also briefed about the organs that can be donated, the time factor in organ transplantation from a donor to a recipient, introduced the donor card, the helpline number and shared a few donors’ stories. 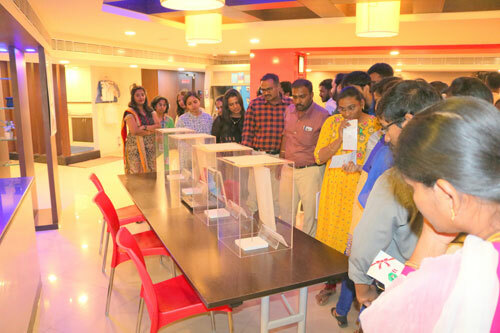 An award winning exhibit titled ‘Life Before Ashes’ comprising of installations of human organs modeled using human ashes was also on display. Nearly 35 staffs viewed the exhibition and 30 people registered their names as organ donors and received donor cards. 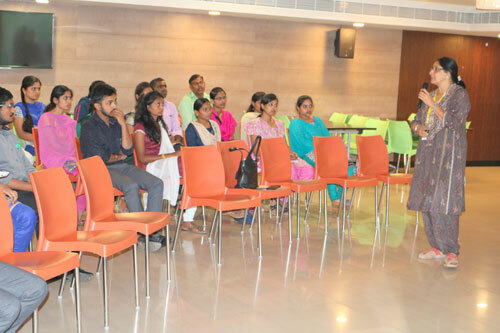 Mr C K Kumar, Managing Director of CNSI Chennai branch interacted with the group regarding organ donation. He was very much interested in creating awareness on organ donation. MOHAN Foundation staff was felicitated by Mr Kumar to conclude the programme.